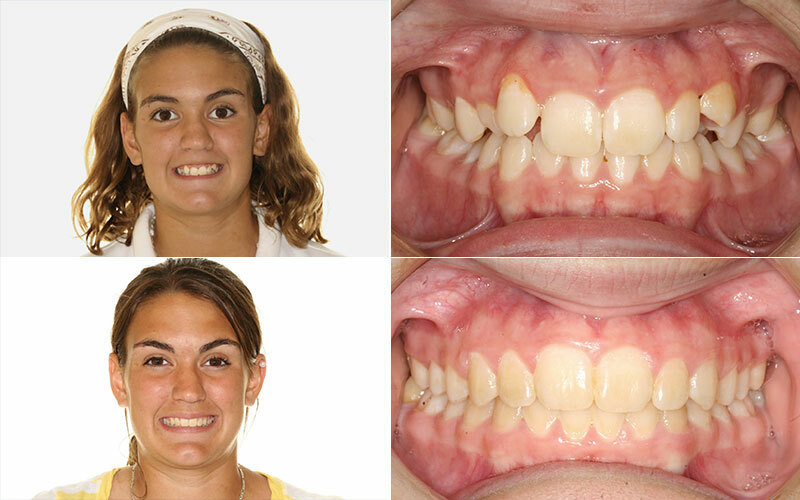 In the wonderful world of orthodontics, there are an infinite number of problems to be corrected. 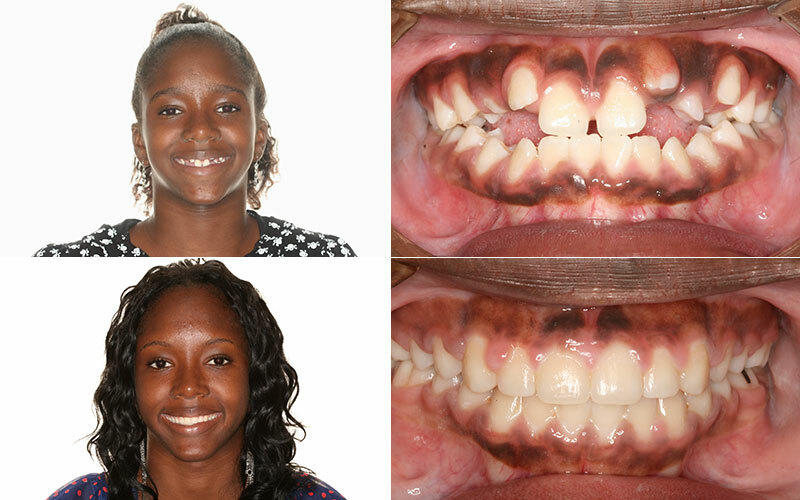 Nevertheless, we have compiled this “Before and After” section to visually show you the more common, more obvious and more interesting orthodontic problems that we see and treat daily. Please feel free to browse through any of the listed sections that may interest you. 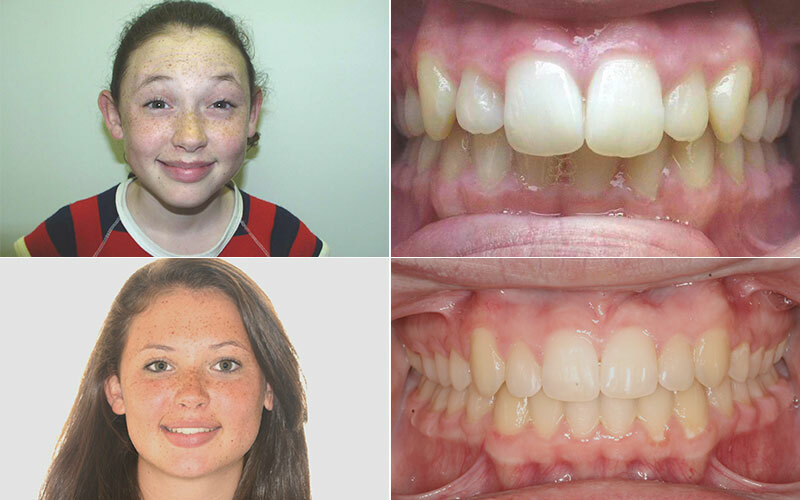 After a brief description of each section, you will be able to see before orthodontic photos and the after orthodontic photos of patients that we have successfully treated and finished in our practice. Although our goal is to achieve excellence, please understand that finishing cases with an excellent result, a very good result or even just a good result are all acceptable. We hope you enjoy this section; it is certainly one of our favorites. ENJOY! 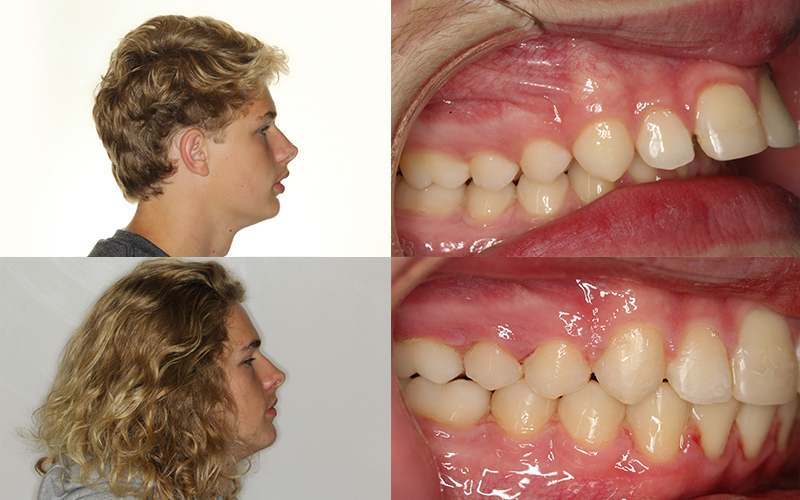 Problem: Certain orthodontic and/or growth problems exist and need to be addressed. Solution: Phase I treatment creates more room, more space, and an environment to get all the remaining permanent teeth in. 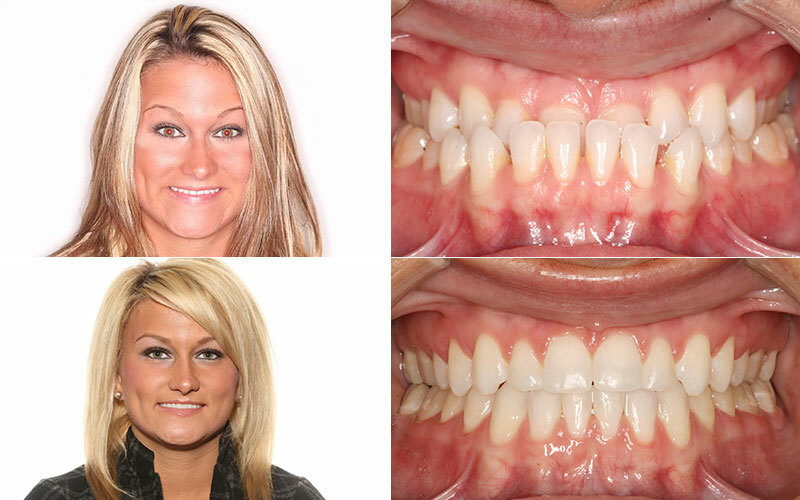 Phase II treatment involves a full set of braces and elastic wear for propper bite correction. Problem: Crooked teeth, little to no room between the teeth, or teeth that have erupted behind other teeth. Solution: Braces or function appliances to move teeth to their proper positions. Problem: Gaps or spaces between the teeth. 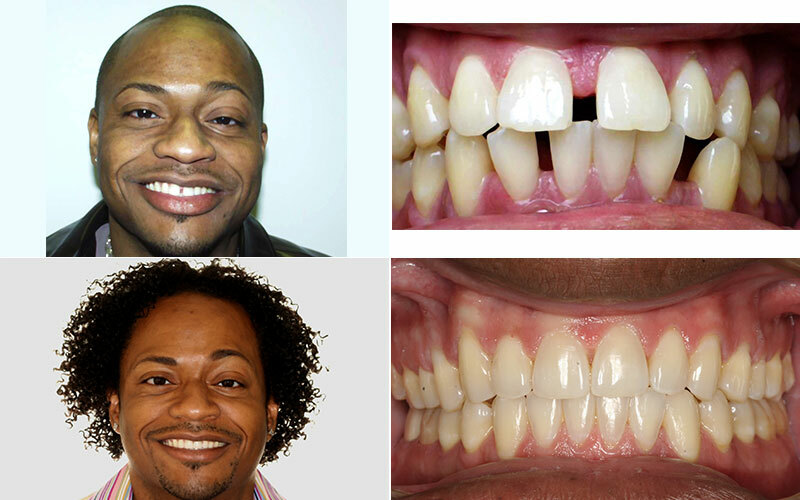 Solution: Braces or aligners to close the spacing between teeth. Problem: Top teeth overlap the bottom teeth. Solution: Braces and function appliances to move teeth and jaw to their proper positions. 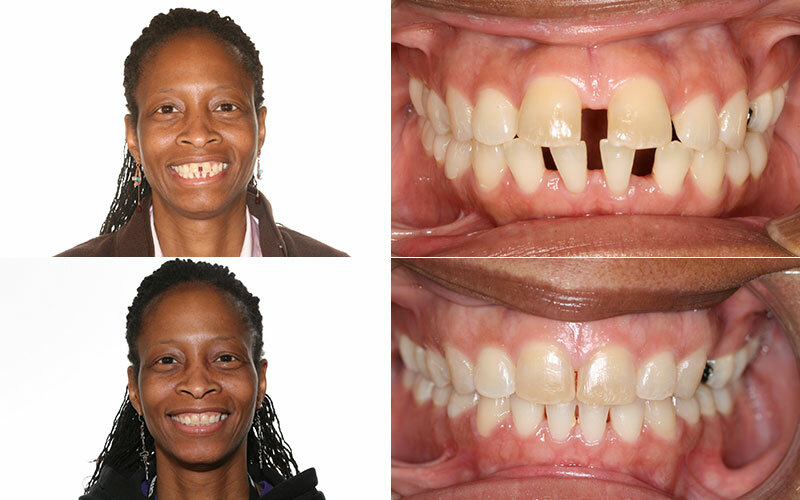 Problem: The upper teeth fit inside the lower teeth in the front or in the back. 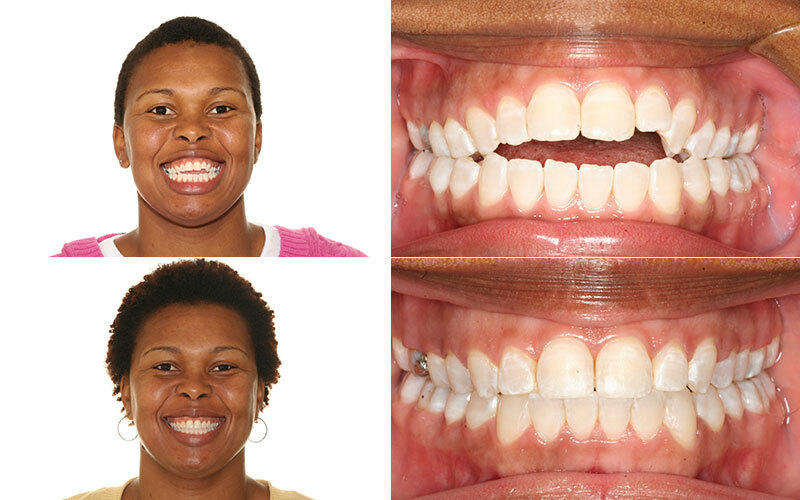 Problem: The back teeth touch but there is a space or gap between the upper and lower teeth in the front. 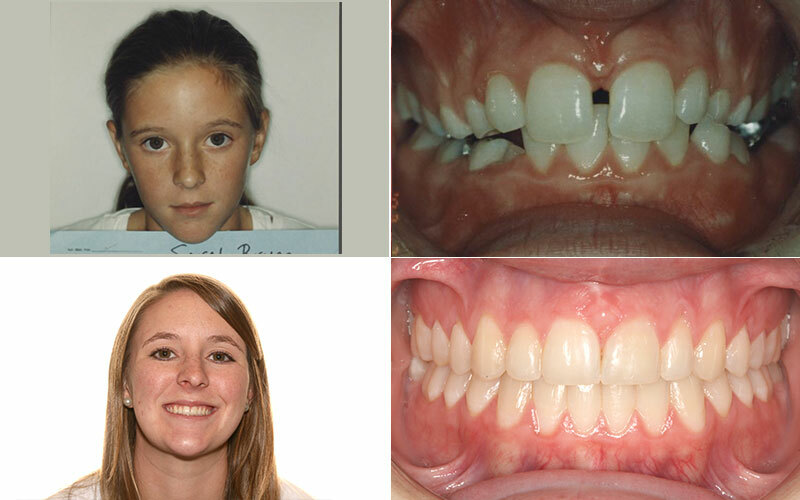 Problem: Moderate to severe crowding, protrusion of teeth, and necessary bite correction. Solution: Extraction of teeth to achieve a healthy bite and straight smile. Problem: Missing a tooth because it never developed from birth (congenitally missing), or a loss of teeth due to extractions. Solution: Braces and function appliances to move teeth and jaw to their proper positions, in addition to implants or bridges if necessary. Problem: Permanent tooth has not successfully erupted into the mouth. Solution: Oral surgery, braces, or appliances to guide the tooth into its proper position. 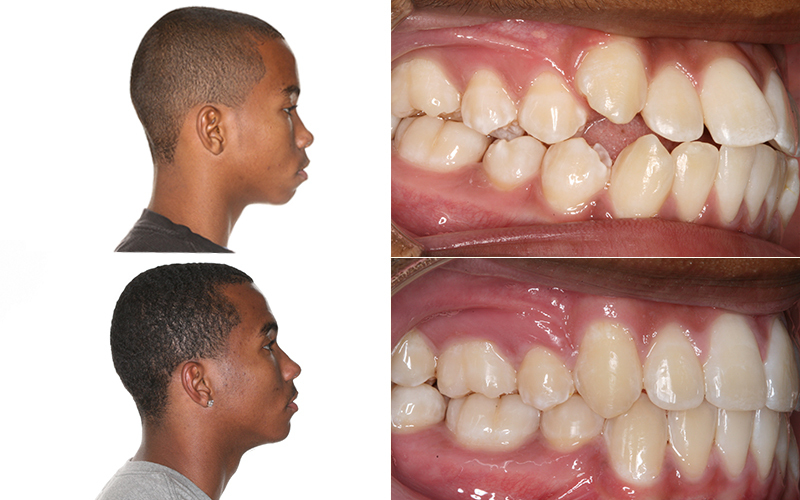 Problem: Functional and aesthetic problems due to underlying skeletal deformities that cannot be corrected by orthodontic tooth movement alone. Solution: A collective effort between your orthodontist and oral surgeon will be made for the type of treatment that best suits your needs.